One of my very favorite things to contribute to special events is the signage. Whether I'm painting a large surface on-site (or in my home office! ), making sure every little dessert has a description (because let's be real, dessert decisions are highly important and we gotta know what's what! ), writing a sweet sentiment that will be given to the flower girl, or lettering quotes and menus that will be framed after the fact...I find so much joy in feeling like I'm a part of the details and keepsakes. 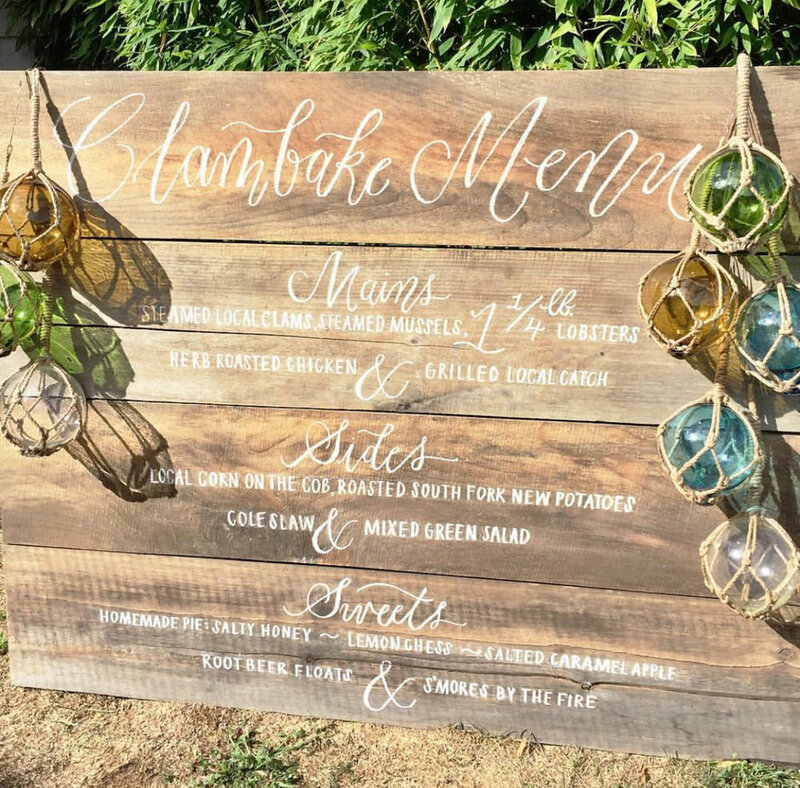 I ended up canceling my Labor Day weekend plans last-minute to help with a bunch of signage for an event, and I wanted to share a couple pictures! It was a busy few days, to say the least, including the first all-nighter I've had to pull in a looong time. It reminded me that I'm getting older (I'm looking at you, upcoming 30th birthday - bah!) because I feel like I'm just now - maybe kinda sorta? - getting caught up on sleep, despite our ongoing neighborly noise drama. ^ one of each, pretty please! Meanwhile, I was spazzing out at this gold! ^ It was crazy shiny in the light. This was quite a different style for me to try, but I love a good challenge. ^ a close-up of one of the many menus. I mixed a deep wine-colored gouache for the ink. And this! This was another challenge ^ but also really fun. This picture is by FireFly Events, and I'm obsessed with how they styled it with the sea glass balls and rope. This was my first large wooden sign (I've painted on a smaller bench), and the rough surface and bulkiness made it rather cumbersome, but I'm really pleased with the final look. 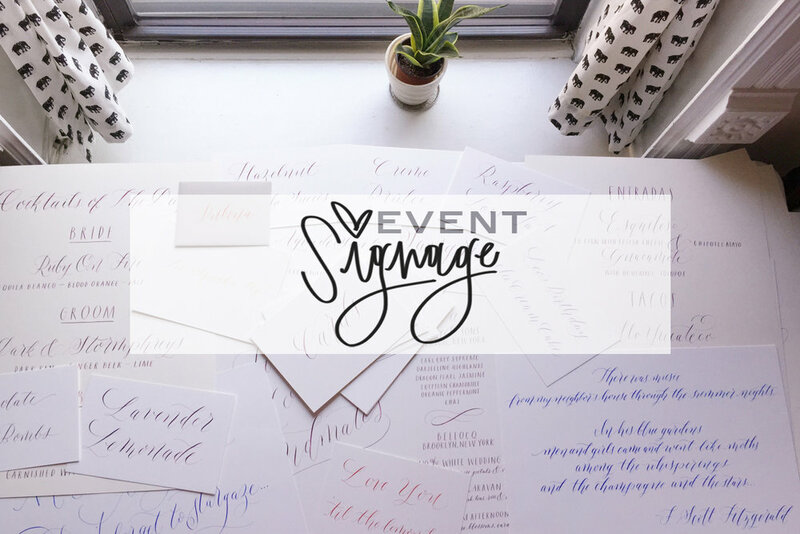 If you're interested in event signage for your special occasion, please submit an inquiry via my contact page. Thank you!